Littelfuse introduced the 40mA PICO 242 Series Hazardous Area Barrier Network Fuse, which supports designing barrier circuits for intrinsic safety products to prevent fires and explosions in dangerous atmospheres. The fuse prevents electronic equipment used in hazardous locations from overheating or producing sparks that could ignite a fire or explosion by minimizing the risk of overcurrent/short-circuit events. The PICO 242 Series Fuse meets the requirements of intrinsic safety standards (IEC/EN/UL 60079-11) for hazardous location and explosive atmosphere applications, so products designed with it will follow relevant European Directives and other global requirements. With a 40mA current rating, the PICO 242 Series is the lowest nominal current rated barrier fuse on the market in such a small package size, which supports compact intrinsic safety product design without compromising protection performance. The ultra-low nominal current rating (40mA) allows reducing the power ratings and current-carrying capacity of downstream components, wiring, and circuit board traces. It meets the requirements in intrinsic safety standards (EN/IEC/UL 60079-11) for hazardous area applications and is recognized to UL 248-14, which speeds the certification process for end-products and enables compliance with global requirements. It prevents overcurrent/short-circuit faults in downstream circuits from igniting surrounding explosive atmospheres. PICO 242 Series Hazardous Area Barrier Network Fuses are available in axial-leaded form (in ammo pack in quantities of 100 or 500 pieces) and in surface mount packages (in tape and reel packaging in quantities of 500 pieces). 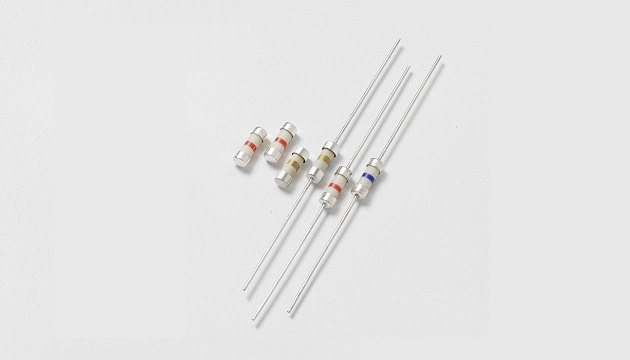 Sample requests may be placed through authorized Littelfuse distributors worldwide. For a listing of Littelfuse distributors, please visit Littelfuse.com.